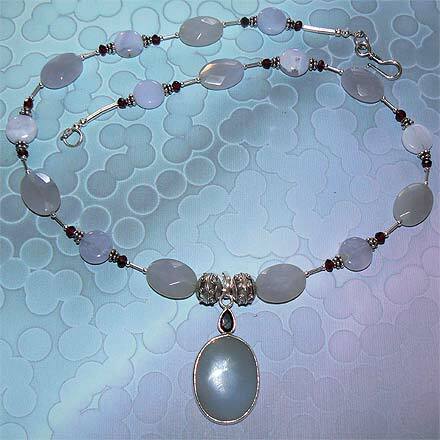 Sterling Silver Chalcedony and Garnet Necklace. See Closeup. 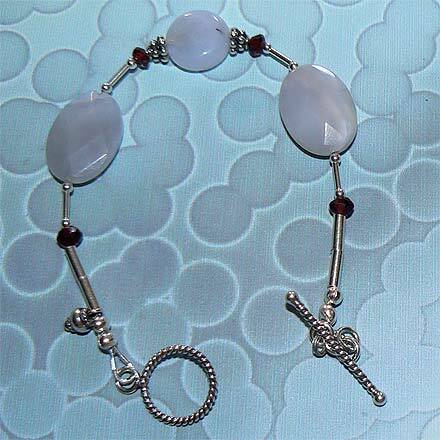 Sterling Silver Chalcedony and Garnet Bracelet. 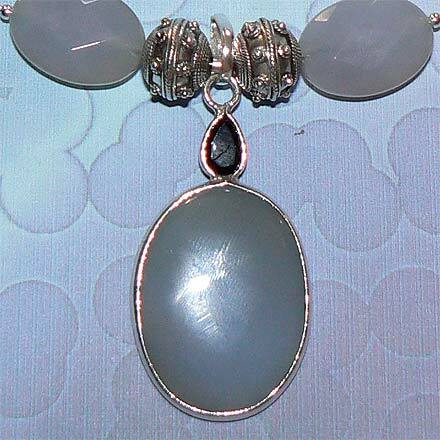 Serene, cloudy light blue Chalcedony highlighted with faceted red Garnets. For those who are interested in Astrological significances of stones, Agate, or Chalcedony, corresponds with Gemini and Capricorn and Garnet corresponds with Capricorn, Aquarius and the month of January.